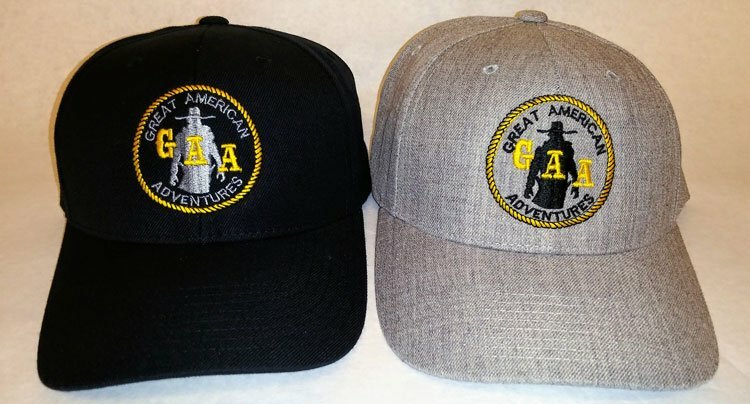 A custom-made Great American Adventures ball cap with the “Gunfighter” Logo embroidered on the cap. Color selection: Black or Gray. Indicate in remarks section when ordering which you prefer. Additional rates for International Shipping will be added to orders outside the United States.